Albertus Magnus, who is celebrated as Saint Albert the Great, was a renowned Dominican friar famous for his extensive knowledge and prowess in the study of science. He is ranked among the prominent German philosophers and theologians of the middle Ages, he was given the title of “Doctor Universalis” for his innovative contributions to medieval science and philosophy, and for demonstrating a concrete link between scientific study and religion. He is considered the first medieval philosopher to combine contemporary Christian thought with Aristotelian philosophy. Albertus Magnus was born in 1193 in Lauingen, Bavaria. He belonged to an affluent family, and was the eldest son of Count Bollstadt. He received his early education at Padua, Italy, where he was instructed in the works of Aristotle. In 1223, he became a member of the Dominican order, and began studying theology under the Dominicans at Bologna and later in Cologne. Upon the completion of his education, he began teaching theology in Cologne. In 1245, he decided to move to Paris, where he received his doctorate, and soon established himself as a prominent teacher. In 1248, Magnus was appointed to organize the new Studium General (House of Studies) in Cologne, and Magnus was made the regent of the institution. In 1250, Magnus served the General Chapter of the Dominicans, he along with Aquinas and Peter of Tarentasia, formulated the rules for the course of education and system of graduation in the Dominican order. 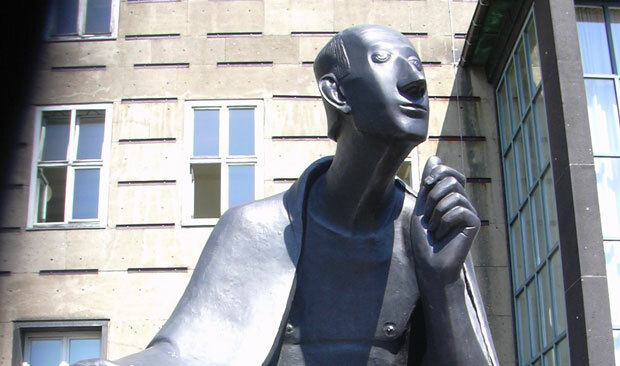 In 1254, he was elected as the provincial of the Dominican Order in Germany, however, he resigned in 1257, and devoted his time to teaching and studying. In 1260, Pope Alexander IV appointed him as the Bishop of Regensburg. However, he resigned from this post in 1261, to resume his professorship and education. In 1270, he preached the eighth Crusade in Austria, and in 1274, he was invited to the Council of Lyons by Pope Gregory X. He died on November 15, 1280 after suffering a stroke. He was sanctified in 1622, and later in 1931, he was canonized and officially name a Doctor of the Church by Pope Pius XII. His feast day is celebrated on 15th November. Magnus has made several notable literary contributions on diverse subjects such as logic, theology, botany, geography, astronomy, mineralogy, politics, metaphysics, rhetoric, economics, mathematics chemistry, zoology, physiology, and phrenology. He was the most widely read author of his time, labelled as “Doctor Universalis” for his encyclopedic knowledge. He compiled more than seventy books and papers, and in 1899, his writings were put together in 38 volumes. He also did some pioneering work in astronomy, including the realization that the Milky Way consists of stars. His written works include “Physica”, “Summa Theolagiae” and De Natura Locorum”.